Easter is April 1st this year. It’s the time of year when we celebrate our Lord Jesus Christ and what He did on the cross for us (we should be celebrating him all year, right?). The Easter Bunny doesn’t come to our house and there will be no Easter baskets this year (in the past I would make each child a basket with candy and a Bible, or Bible storybook, and a couple small toys, from us, not the Easter Bunny), instead we are really going to focus on what Easter is all about. I want my kids to know the real reason we celebrate Easter – Jesus dying on the cross so we can have eternal life! 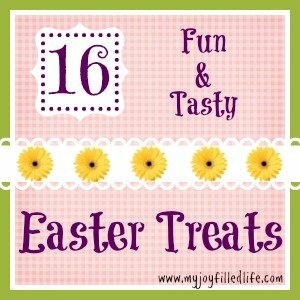 So, I plan to do some fun activities and make some yummy treats throughout the month of March that point to and focus on our Lord. I plan on using some of these crafts that I found online and thought I would share some of my good finds with you. 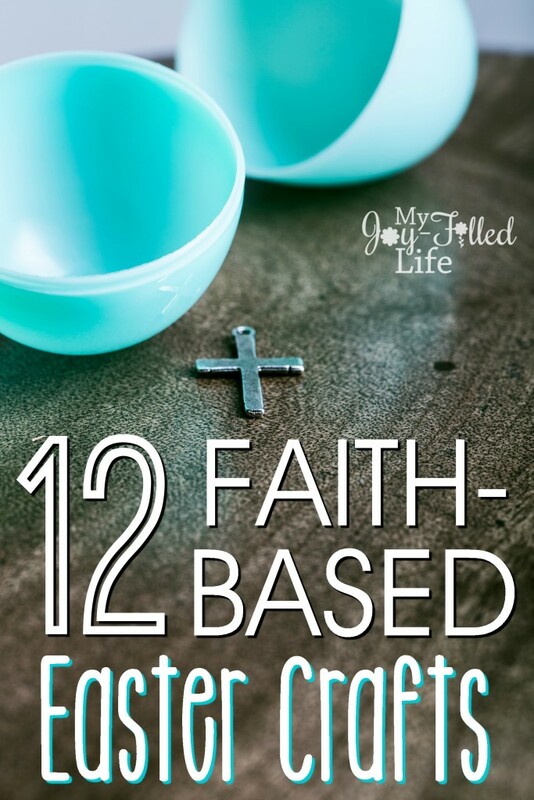 I’m excited to share the following 12 Faith-Based Easter Crafts with you. 1. Coin-Covered Cross – Paid in Full from Mom On Timeout – When Jesus died on that cross, he paid the penalty for all our sins and by doing so, he purchased eternal life for all who believe in him. These Coin-Covered Crosses are a beautiful way to illustrate the price he paid and the variations are endless. Because the coins are metallic, the Coin-Covered Cross looks so beautiful when the sun shines on it. 2. Empty Tomb Paper Craft from Totally Tots – Make a picture showing Jesus’ empty tomb! 3. 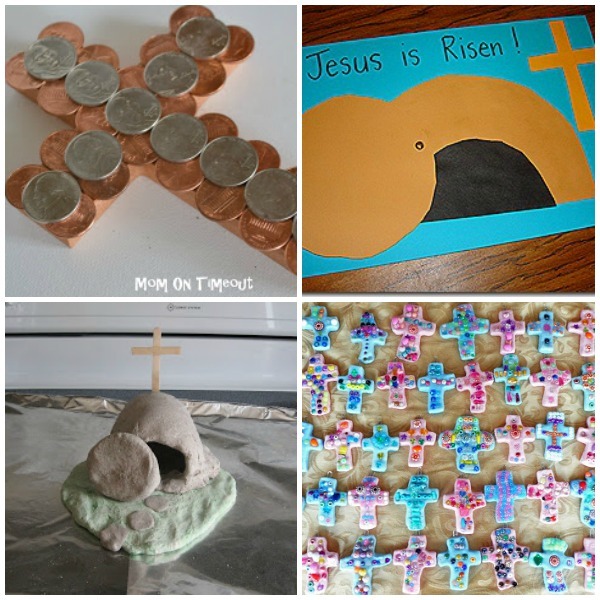 Salt Dough Tomb from Almost Unschoolers – Make a salt dough display of Jesus’ empty tomb. 4. Bead and Clay Crosses from That Artist Woman – Make salt dough clay crosses decorated with beads. 5. Resurrection Eggs from Christian Preschool Printables – This is a quick and easy way to make your own Resurrection eggs with a free, lovely download from Christian Preschool Printables. 6. Easter Story Wreath from Wee Little Miracles – This is a fun way to tell the Easter Story – lay out the events on a wreath with free downloads from Wee Little Miracles. 7. Easter Cross from Apples and ABC’s- Make a beautiful Easter Cross using watercolors and painter’s tape. 8. 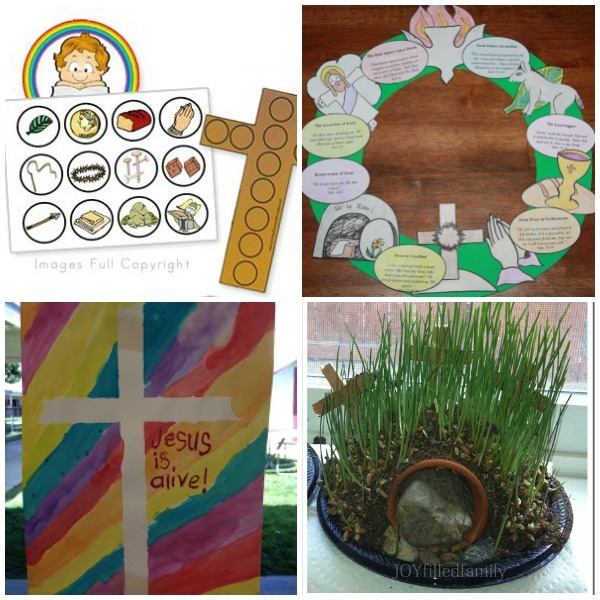 Empty Tomb – Easter Garden from Joyfilled Family – Plant a garden that resembles Jesus’ empty tomb; this is a great project to do with a group. 9. 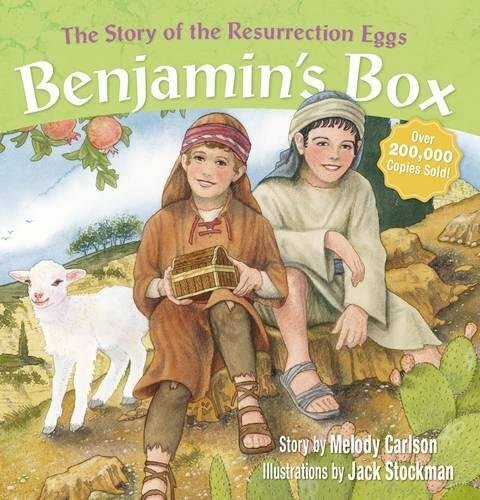 Easter Lapbook from 1+1+1=1 – An easy-to-do lapbook that contains Resurrection eggs and the symbols of Easter. 10. 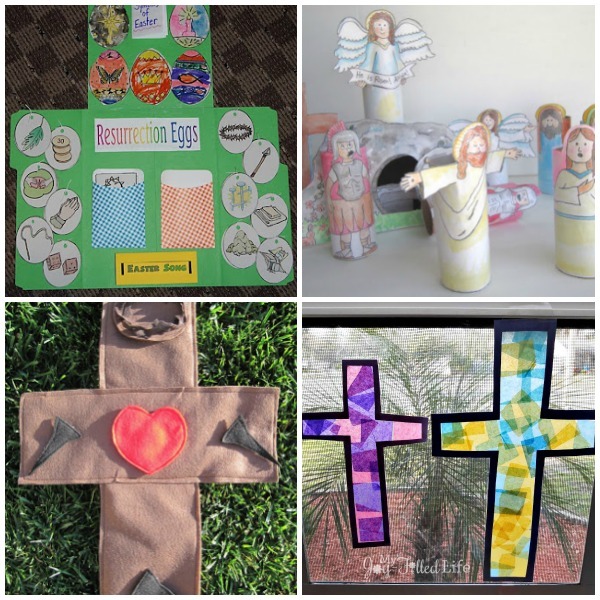 Resurrection Set from Catholic Icing – Make your own Resurrection scene using toilet paper rolls and free printables from Catholic Icing. 11. Felt Cross from Lu Bird Baby – Cute craft to make for your little ones to help introduce them to the true meaning of Easter. 12. Stained Glass Cross from My Joy-Filled Life – Make a stained glass cross out of tissue paper and contact paper. These look so beautiful hanging in any window. Check out my Easter Pinterest Board for more fun crafts and activities. I hope and pray that you have a wonderful Easter with your family. Make these crafts and projects with your kids and make some memories too. You can make them for your own home or to give as a gift. 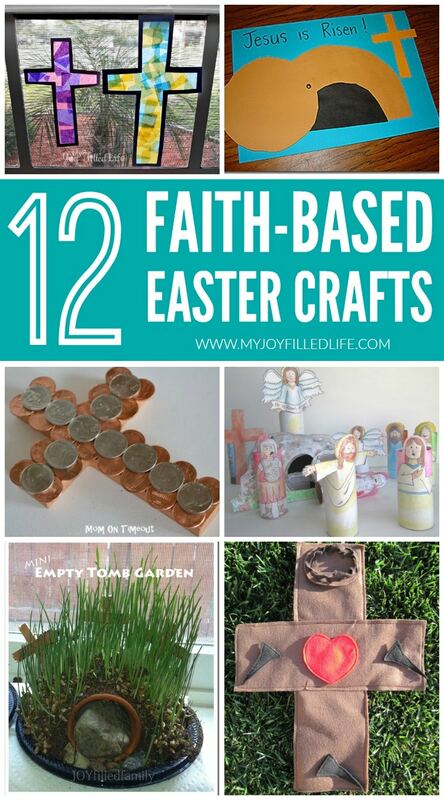 This is such a wonderful resource of Easter craft ideas!! I guess we are both burning midnight oil together as I am linking right after you (again) on Missional Women. Thanks for stopping by Judith! We seem to be on that schedule a lot together and following each other around link-up land! Thanks for collecting all these ideas. I love being able to share a craft or activity with my grandchildren that has a spiritual focus/message. I enjoyed putting this together! 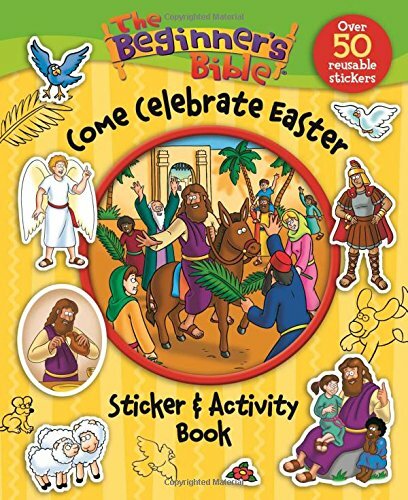 I thought it would be nice to have a collection of faith-based Easter crafts all together and hopefully others would find it useful as well. Thank you for all these great ideas!! I was just looking for some helpful ideas in teaching Sunday School this month! You’re welcome! Glad this was helpful to you! I am almost right after you (#24 & 25) on the MW link up. I love these, thank you so much for sharing. I’ve passed this on to our Children’s Ministry Director at church and also the Awana Cubbie Director. With Easter coming up I know they’d love to see them! Thanks again! 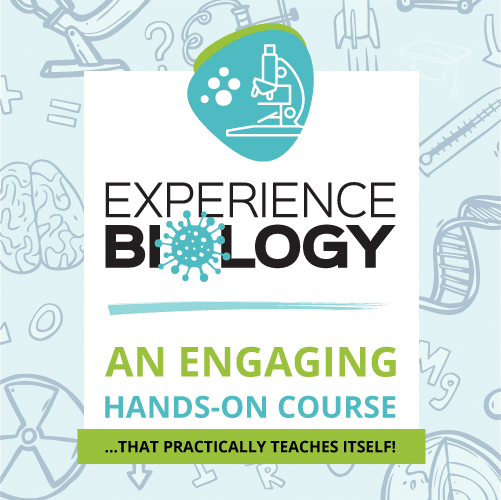 Thanks for passing it along; hope it’s helpful! 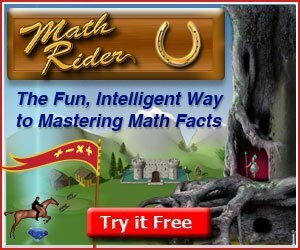 Thanks for all of these wonderful resources! My son and I are going to pick some to do this month. I also teach pre-K at a wonderful church preschool and will definitely plan some for my students as well. Thanks again! Pinning now! I’m so glad this is useful for you Mary! And thanks for pinning! Love Pinterest!! Thanks Sarah for including my project. Great to see all these ideas at one glance! Sure thing Gail! Thanks for letting me share your lovely bead crosses! Thanks Diana! And thanks for hosting a great link up!! 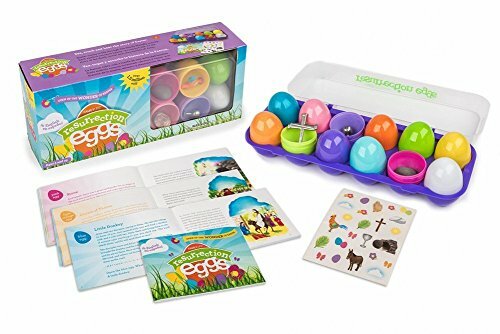 I agree – I wanted to find crafts and activities that focused on the true meaning of Easter. I just love your sensory bin idea – pinning!! Thanks for checking them out Wendy! Great Collection! 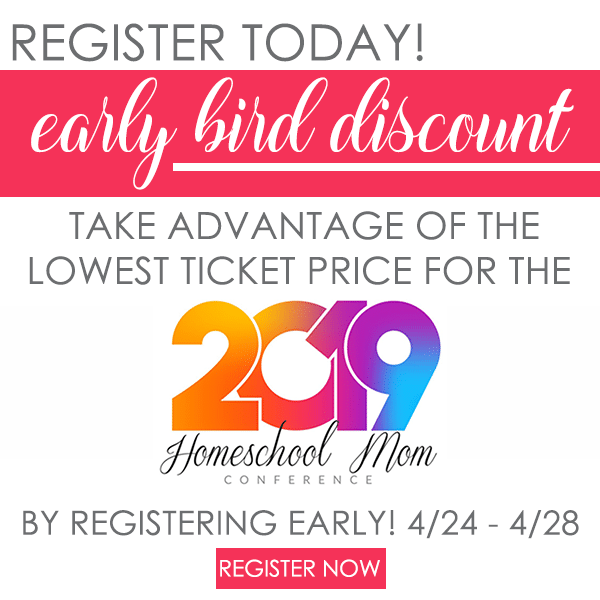 Found your blog through the Better Mom link up. Thanks Amy! I’m so glad you stopped by! So I passed your ideas along, as I said, and the leaders loved them! Can’t wait to see the kids make them. Thank you so much for sharing them and thank you for linking up to “Making Your Home Sing Monday” today! So glad to hear! I really hope the kids enjoy them! Some great plans you have for March! 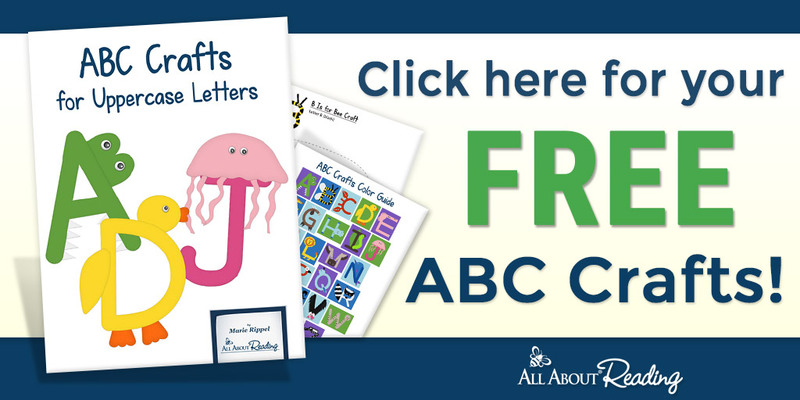 This is a really great collection of crafts! Thank you for your hard work. What cute ideas! I might have to try some of these with my Sunday School class at church(5 yr olds). What a great round-up! Love seeing some Christ focused crafts! What great ideas! I’m saving this on Pinterest for my younger grandkids on my next visit and linking to you as well. My near-by grandchildren are a bit older. Last year we had fun making LEGO versions of the different pieces in the Easter Resurrection eggs. This year they are in to Minecraft and we have been making “virtual vignettes” of the Easter story on their sites. Thanks again for a lovely visit via Teaching What Is Good. Kaye – What great ideas! My kids love Legos and Minecraft! GREAT ideas! My children are not little any more but these would have been lots of fun. 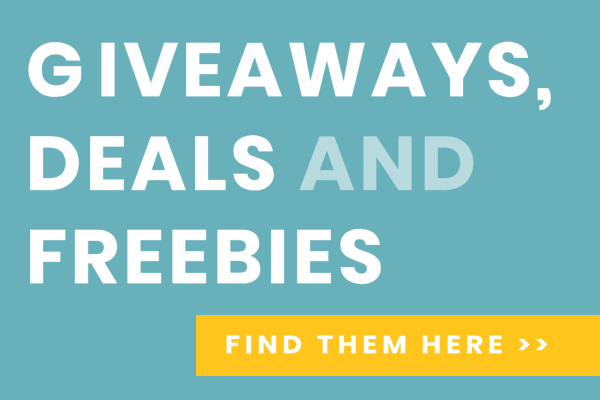 Thanks for linking this up this week! Nice round up of Easter activities! Thanks for sharing! I hope everyone had a great Easter! I’m so glad you all liked the round-up and I hope it blessed your Easter season! And thank you to all the shared this with others! 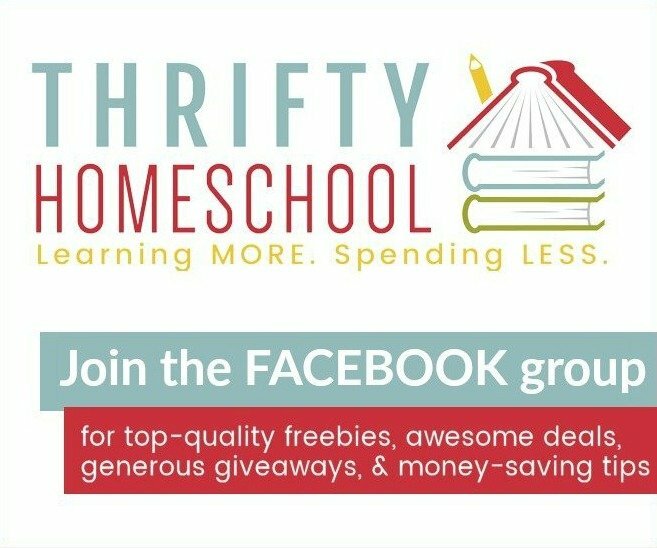 In fact in the coming year our homeschool unit studies (which include LOTS of original hands on art and crafts) will be posted throughout the year. I enjoyed reading your activities hope you enjoy ours! Beautiful ideas here, Sarah! I’m filing these away for Easter! I can’t seem to open the resurrection set. My family and I are living overseas in a Muslim country so Easter décor, as well as Christian churches are a little hard to come by. 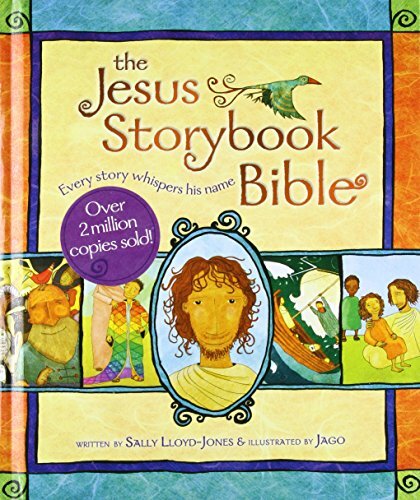 Would love to use the set to talk to my 8 and 5 year old about Easter and why we celebrate. 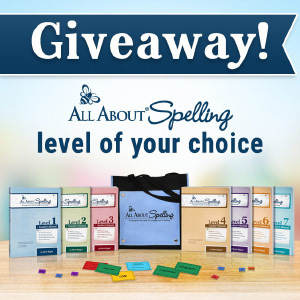 Rachel – is the link not working for you on my site or on Catholic Icing’s site?